An Iraqi Jew named Yosef asserted to Mossad agents that he could facilitate the defection of an Iraqi pilot and his MIG-21, the most advanced Soviet fighter plane at the time, to Israel. In 1965, the pilot, a Christian, was secretly brought for an "interview" in Israel and meetings were held with him in Europe to make arrangements for relocation of his family (and Yosef´s) outside of Iraq. While it took three years to achieve the goal, in August 1966, the Iraqi pilot landed his plane in Israel. 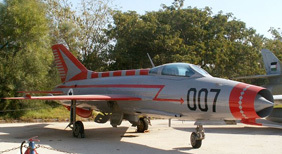 Beyond the Intelligence achievement, access gained to the MIG-21 enabled the Israeli Air Force to practice dogfights that would prove useful in the Six Day War of 1967. Information was shared with the United States, which, at that time, did not have intimate knowledge of the fighter jet. The successful mission also contributed to the internationally-renowned reputation of Israel´s Intelligence prowess.